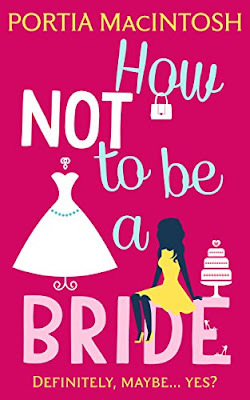 Book Review: How Not To Be A Bride by Portia MacIntosh. Portia MacIntosh has returned with a brand new book, which means I have my book soul sister back and couldn't be happier for it. I could read Portia's stories all day, in fact I pretty much did with 'How Not To Be A Bride.' I couldn't help it. I had a nice little day to myself and decided to just curl up and read - is there anything better? This is the 6th book of Portia's that I have read and I can honestly tell you that her books just get better and better; I have never once been disappointed by her work. 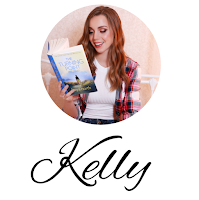 Mia Valentina is used to a high-flying life in L.A. She loved her job as a Romance movie writer but four and a half years ago she loved her boyfriend, Leo, more, which is why she moved back home to the U.K to be with him and start a new life as an author. She doesn't regret her decision but life is suddenly feeling less exciting than it once was; she's lonely and with a new house to fix up, she constantly feels stressed out. So, when Leo proposes and she of course says yes, a wedding may just give her something to get excited about...hopefully. Mia knows she wants to marry Leo more than anything but the whole wedding planning isn't, well, going to plan and when she gets a job offer she can't refuse, life suddenly gets a whole lot more interesting, but at what cost? 1. I always want to be the main characters in Portia's books and Mia was no different. She is sassy, cool, confident and hilarious. 2. Portia's writing flows so effortlessly, I feel like she's just talking to me and telling me the story. It feels as though she writes as the thoughts come to her, which makes her books a pleasure to read. 3. 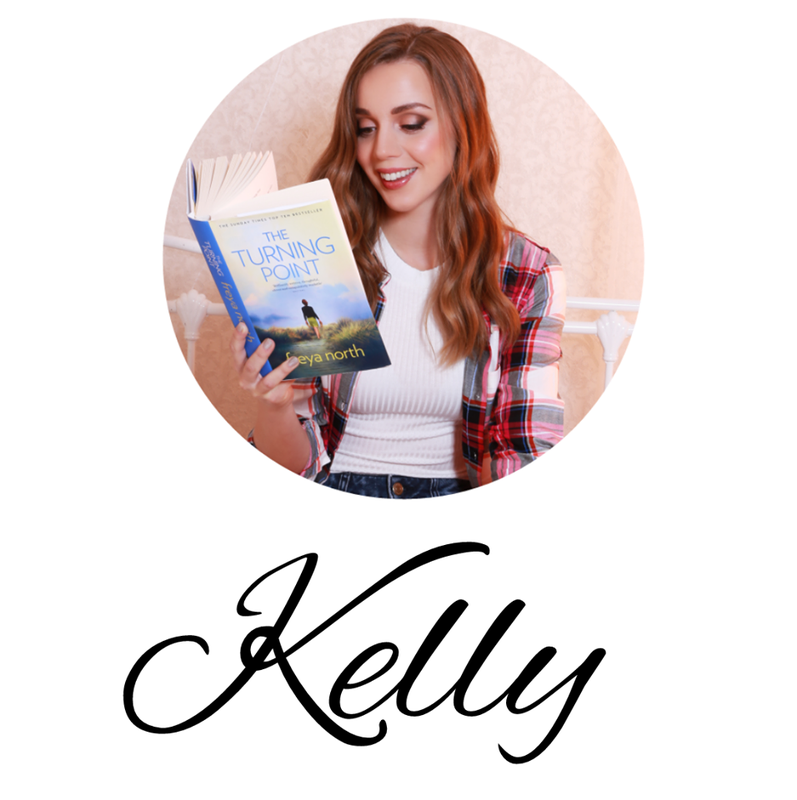 Her stories are unique, fun and have a touch of glamour. Mia's job as a Romance movie writer was so awesome and made me love her even more. 4. Leo - Mia's fireman fiance is utterly amazing. I adored how he was a sweetheart but also a tough strong, fireman. He had everything. 5. There was not one part of the book that I wasn't enjoying. Every single one of Portia's books are pure entertainment from start to finish. 6. I could be wrong, but I always feel like there are little bits of Portia in each book and it makes her writing seem that much more fascinating. 7. Being Italian myself, I loved that Leo was Italian and that his family came first and he could cook - told you he was pretty much perfect! 9. The great big surprise a few chapters into the book!! No spoilers but YES!!! It was totally unexpected but I was doing my happy little book dance. It gave the book added charm and entertainment. I hope my 10 reasons give you enough good reasons to pick up this book. Portia is utterly brilliant, so much so, I could probably write 50 things I love about her books. 'How Not To Be A Bride,' is a fantastic romantic comedy, that you will be thoroughly entertained by from beginning to end. Portia never misses a beat with her humour and warmth, which keeps me coming back to her books again and again. I genuinely think the voice that comes through in a her stories could be a stand up comic!! Here's the link for you to get yourself a copy of 'How Not To Be A Bride.' today! Sounds like a fantastic, fun read! Love your reason #8.